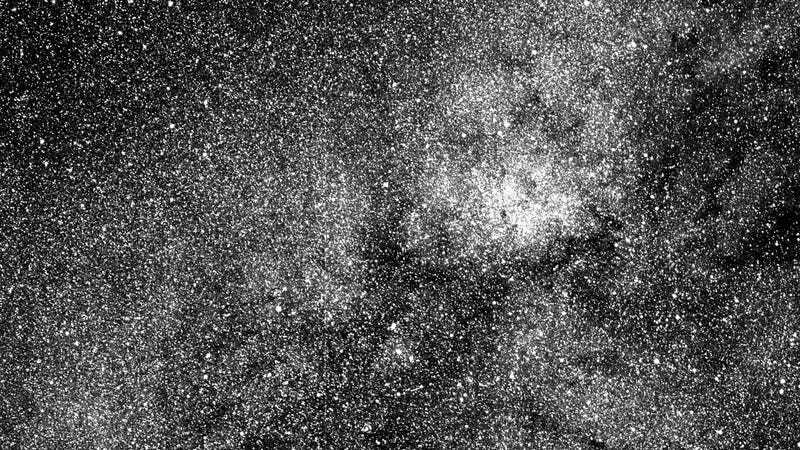 The first image taken by the Transiting Exoplanet Survey Satellite (TESS). On the way to its final orbit around Earth, NASA’s planet-hunting Transiting Exoplanet Survey Satellite (TESS) has sailed by the moon and snapped its first picture of space. We’ve said several times that TESS would be able to look at 200,000 stars in the 300 light-years around the Earth—but maybe this new shot will show you what that really means. This is just 0.25 percent of the amount of sky that TESS will image in its search for exoplanets. TESS isn’t in its final orbit yet, according to a NASA release. It’s got one more thruster burn before arriving in the highly elliptical path it will take around the Earth. The elongated orbit will allow it to capture more of the sky, and it will begin taking data in June. We’re pretty pumped about TESS. It will survey the nearest stars with its four wide-field cameras, sweeping the sky to try and find the patterns of dimming and brightening light that indicate a distant planet passing in front of its star. TESS can look at brighter stars than its predecessor, Kepler, could, and it can also capture dim red dwarf stars like TRAPPIST-1 or Proxima Centauri, which keep turning up with planets in their “habitable zones,” where water might exist as a liquid. TESS is just a survey meant to earmark interesting discoveries for a later, more powerful mission, like the James Webb Space Telescope (JWST) and future proposed LUVOIR and HabEx missions. But if scientists want to determine which exoplanets might hold conditions favorable to life, they have to know which stars in the the infinite array to point their telescopes at. As demonstrated by this new image and the recent map of the Milky Way created by the Gaia satellite, there truly are an unfathomable number of stars out there. Any number of them could host planets—and, who knows, maybe some those planets are a lot like ours.